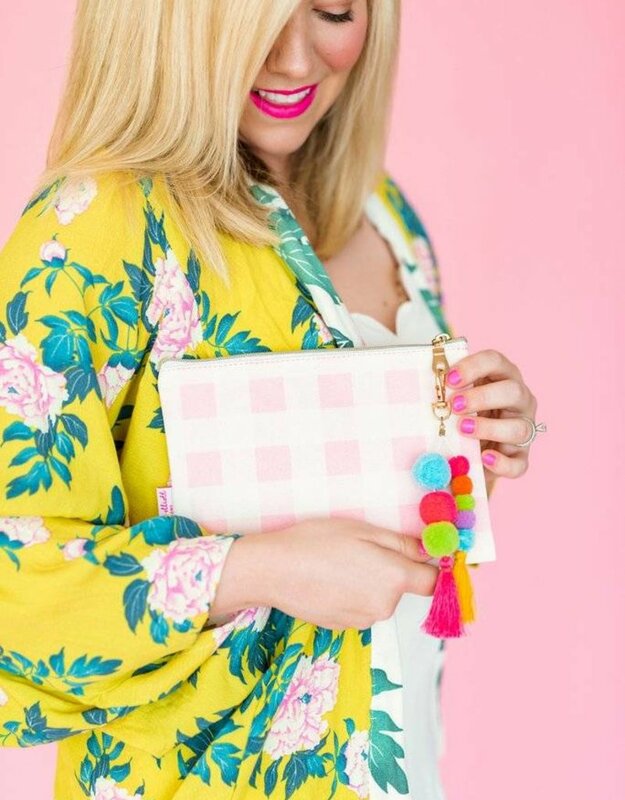 The Pink Gingham Pouch is perfect for work, play, travel and school! 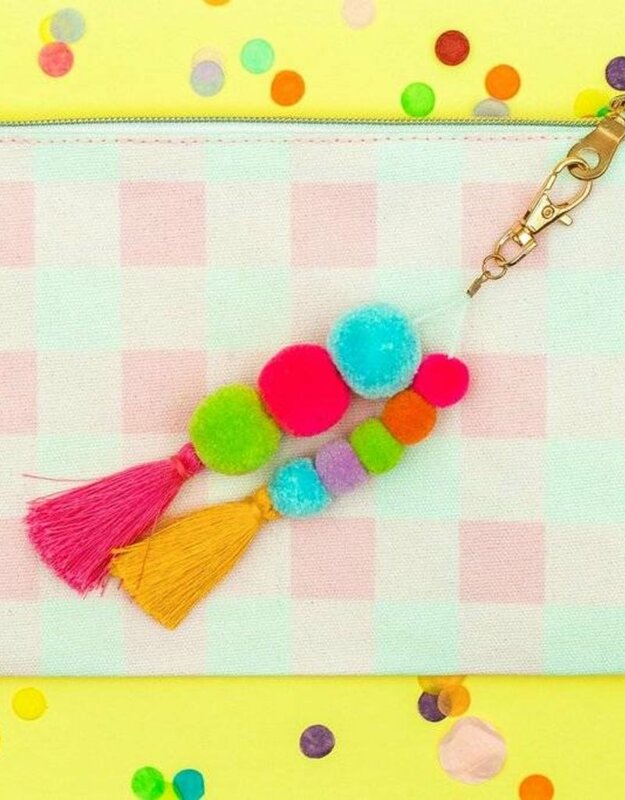 Organize your pens + pencils or use your pouch to store your jewelry as you travel, the possibilities are endless! 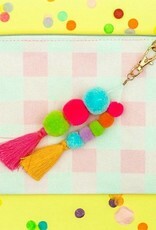 The brightly colored pom/tassel keychain comes with it! How fun is that?